CBD is the essential herbal supplement of the twenty-first century that everyone is talking about! CBD, otherwise known as cannabidiol, a much publicized and well-known cannabinoid from the cannabis plant, is loved by many cannabis connoisseurs and health professionals for the gentle relief and relaxation it offers. Have you been curious about cannabis, but skeptical of “getting stoned”? Have you tried cannabis, but the psychoactive effects were uncomfortable? Would you like to enjoy the benefits of cannabis without the high? From a mild tingle to completely sober, Sandra Hinchliffe introduces a new world of cannabis pleasure and healing that you can experience every day! Incorporate CBD into dozens of recipes including salad dressings, beverages, snacks, desserts, infusions, herbal medicines, and spa goodies like soap, bath bombs, salves, and lotions. Sandra Hinchliffe is the founder of posyandkettle.com, a home herbalist, an allergy chef, an autoimmune disease survivor, and an inventor of pretty things for people of sensitive constitution. She uses her background as a home herbalist and medical cannabis patient to create a repertoire of recipes designed to be both beneficial and delightful. 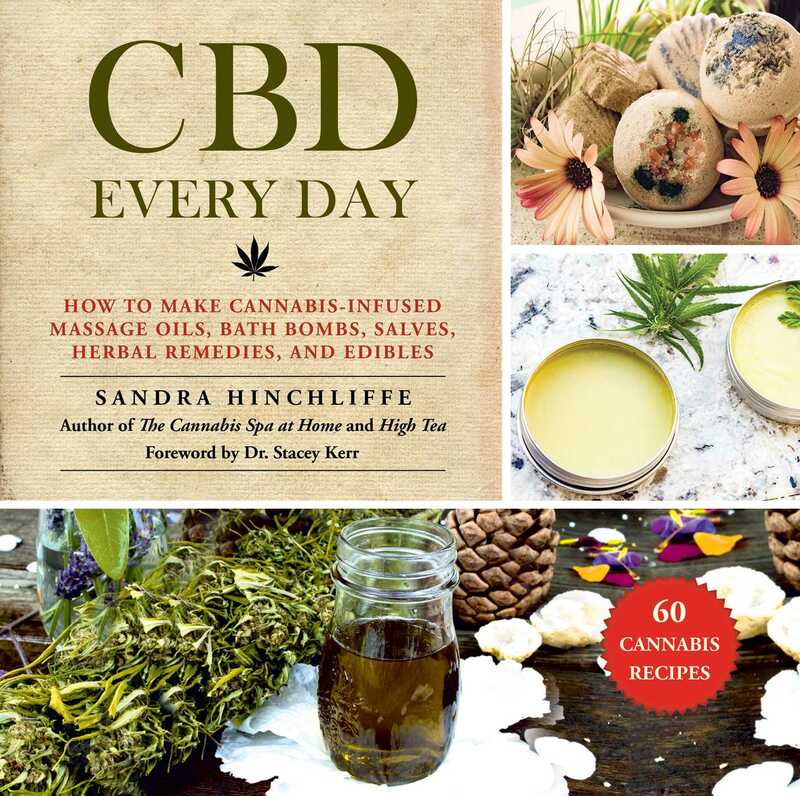 She is the author of The Cannabis Spa at Home, the first book to bring together cannabis, spa, and herbal healing, and High Tea, a collection of gracious cannabis tea-time recipes for every occasion. She resides in Del Norte County, California.